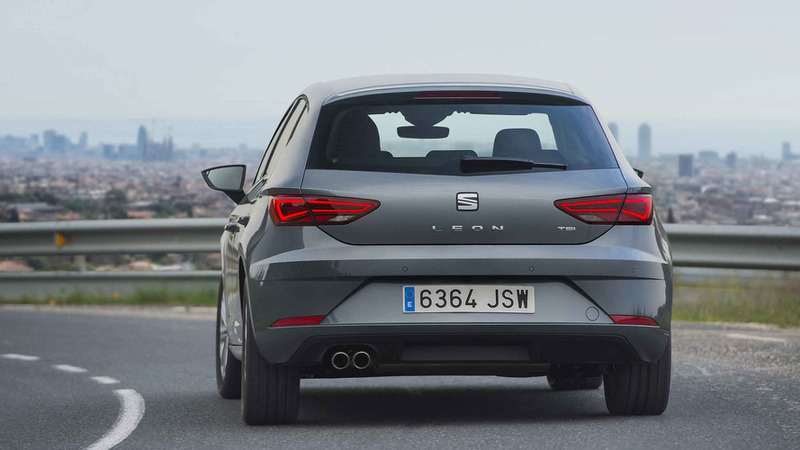 A Golf by any other name, the Seat Leon is starting to edge out from the shadow of its more illustrious German relative by virtue of pleasing styling, sharp steering, good quality, and conspicuous value. 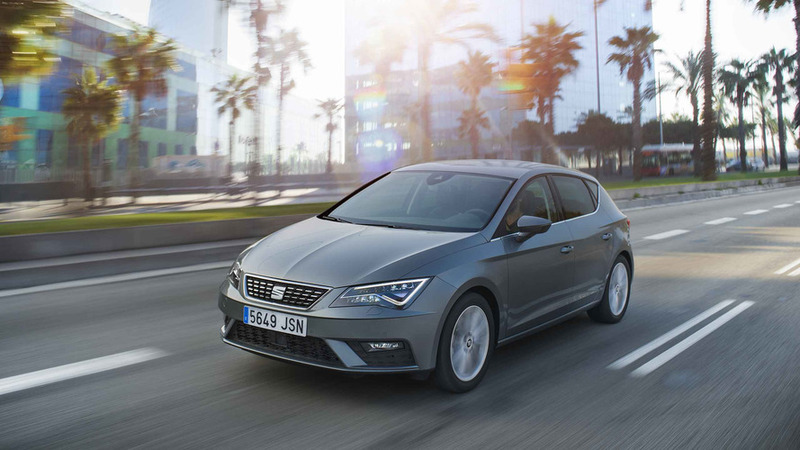 Seat is a brand that has had more than a fair share of ups and downs (with a few too many downs), but the Leon’s sales have helped revive the Spanish car maker's prospects, and that’s a deserved success. Did you know? 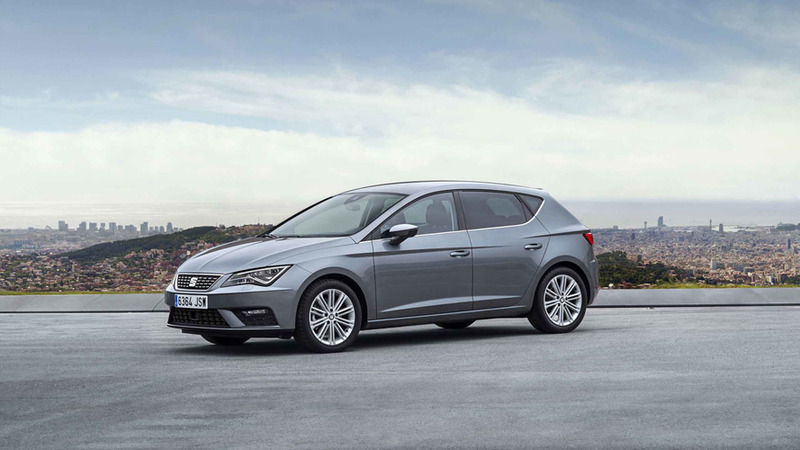 The Seat Leon has won two world titles in the World Touring Car Championship. While it’s not hard to find areas in which the Volkswagen overlords have held the Leon back, to ensure that it’s not quite a direct competitor to the arguably-classier Golf, there is no doubting that it’s a solidly sensible family car proposition, with good interior space, high quality construction, and just a whiff of driver engagement and enjoyment. There’s no kind way of saying this – we think the Leon’s exterior styling is very plain, even falling into generic family hatchback status. Clearly, with the iconic Golf lording it over one part of the Volkswagen empire and the closely-related Skoda Octavia taking the sensible-shoes option to styling, there wasn’t much room left for Seat’s stylists in which to work. The result, at least in standard form, is fine, but little more. It’s clean and handsome, but fairly bland with only the character line of the headlights and tail lights to distinguish it. 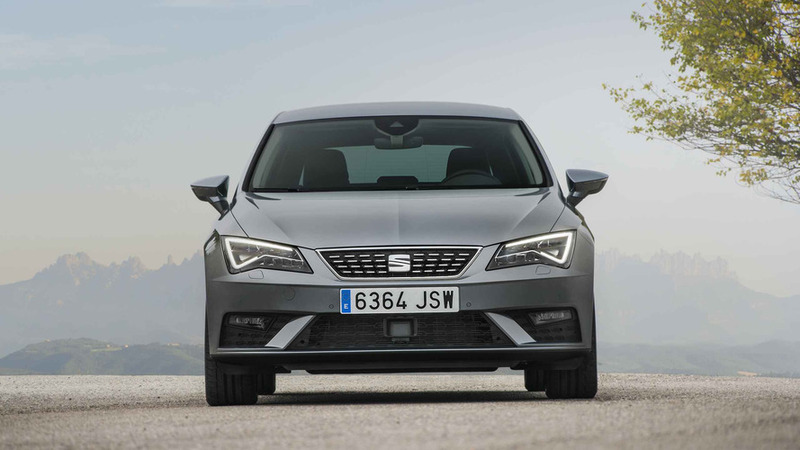 Things are a little better if you trade up to the sporty-ish FR models, which don’t go any quicker than a standard Leon but which do have a more overtly-sporting body kit, which at least starts to make good on Seat’s promise of Iberian passion. There is also something of a question mark over Seat’s brand image. While Volkswagen has its affordable premium thing going on, and Skoda is all about value and practicality, Seat is trying to forge an image of affordable sportiness. 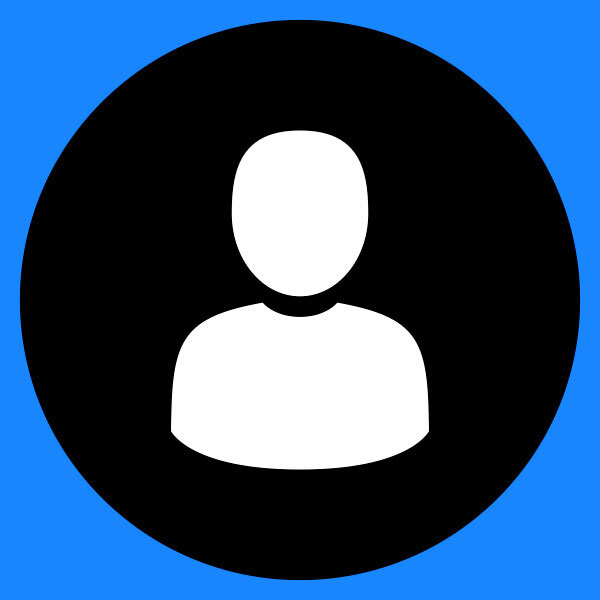 It’s been partially successful in this, but the overall image of Seat still needs time to build. 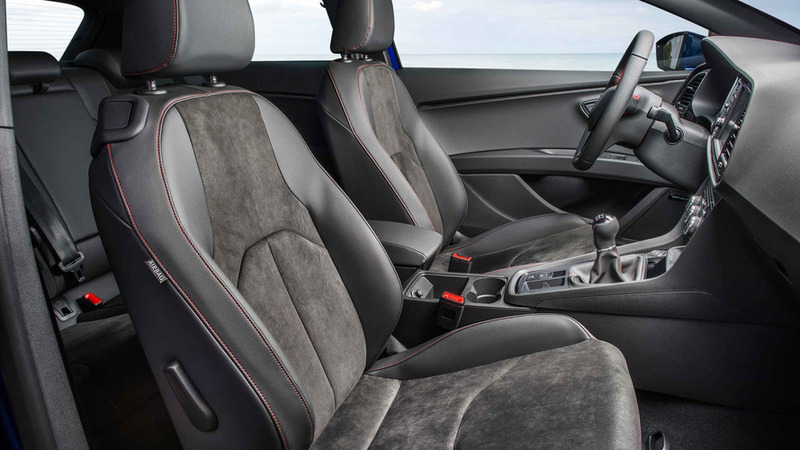 As with the exterior, the cabin of the Leon is plain and functional, and in colour terms there’s little inside to look at besides black and grey, which can make for a rather gloomy experience. That’s not helped by some plastics that are clearly designed not to tread too heavily on Volkswagen’s toes and the lack of a central touch screen larger than 6.5 inches, which leaves vast swathes of grey plastic in the centre console. However, there the disappointments end and the good stuff begins. Quality of assembly is excellent, and the seats are good too, so the Leon is comfortable over long distances. There is a small dash of style to the instruments and there’s nothing wrong with the control layout or ergonomics. A bit more pizazz would be welcome, but when the basics are this good, it’s hard to complain. In practicality terms the Leon hits the class averages right on the nose. The boot, at 380 litres, is decent, but there are competitors with more space (notably its in-house rival the Skoda Octavia) and the rear seats are roomy and have decent headroom and legroom (although again the Skoda outstrips it here). There are decent-sized door bins, a storage space in the centre console and a lidded armrest box, but the cup-holders mounted directly in line with the gearshift can be annoying if you’ve got a tall bottle in them. 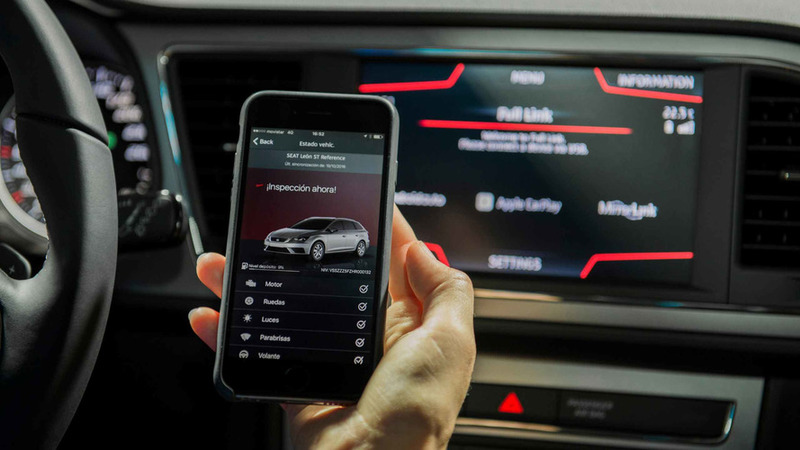 Basic S models have a five-inch touchscreen with Bluetooth and USB connections, and an SD card slot, but you’ll have to upgrade to an SE Technology or SE Dynamic Technology model if you want a bigger screen (6.5 inches), voice control and DAB radio. SE Dynamic Technology models also come with satellite navigation. FR Titanium models get a proximity sensor for the touchscreen that makes the buttons bigger when it detects that your fingers are coming close. There’s optional Apple CarPlay and Android Auto, plus an upgrade to the infotainment system that includes a 10-gigabyte music storage hard-drive and built-in text message reader. The Leon is actually a pretty decent car to drive, and out of the four similarly-sized Volkswagen Group hatchbacks (the Leon itself, the Golf, the Octavia, and the Audi A3) it actually has, by a narrow margin, the steering with the best weight and the sweetest feel and feedback, which is much helped by the XDS electronic 'differential' that comes on SE models and above. That doesn’t quite make it a junior hot hatch (although its full-blown serious hot hatch Cupra version is actually a blast to drive), but it does feel poised, agile and composed. There’s perhaps nothing to get the true enthusiast’s blood flowing, but it’s more than good enough to keep a keen driver entertained. The ride quality, even on FR models, is also good, but you probably will notice rather too much road and tyre noise on coarse surfaces. 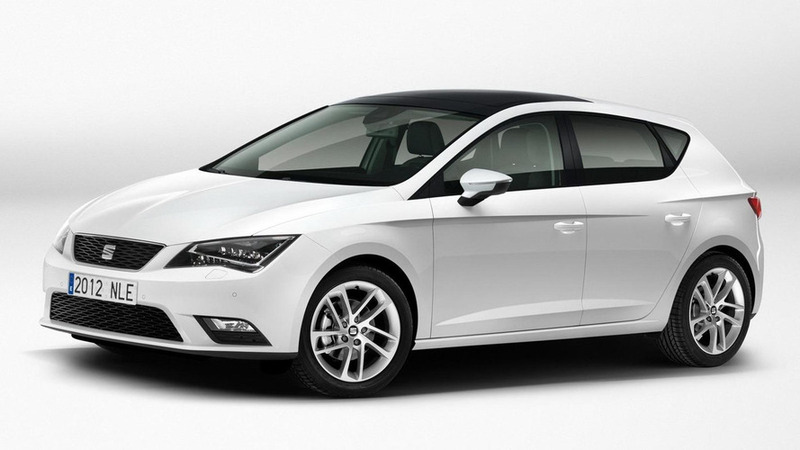 Of the engine range, the biggest surprise is probably the most basic model – the 1.2 TSI 110hp version. OK, so it’s no firebrand, but it has more than adequate performance and has truly impressive real-world economy, damn near as good as a diesel. The larger 1.4 TSI, in either 125hp form or 150hp with fuel-saving cylinder shutoff technology, also has some impressive economy and emissions figures and is probably the Leon’s best-all round powerplant. The larger 1.8 TSI turbo petrol engine has decent performance, but loses out on value. Of the diesels, the 1.6 TDI is fine, but a touch underwhelming, so if you want an oil burner, go for the 2.0-litre TDI 150hp, especially in FR trim, which has an excellent combination of performance (0-62mph in 8.3 seconds) and economy. The 2.0-litre TDI 184hp FR is basically a Golf GTD for a good bit less money and can be regarded as something of a bargain. The Leon was tested by Euro NCAP in 2012 and obtained a maximum five-star rating, with a 94 percent score for adult occupant protection, 92 percent for child occupant, 70 percent for pedestrian protection, and 71 percent for safety assist. Two of its safety features – Lane Assist, which steers to stop you drifting out of your lane, and Multi Collision Brake, which keeps the brakes on after an accident to prevent the car from rolling away – won Advanced Reward recognition from NCAP. Standard safety features on all models include that post-collision braking system, daytime running lights, seven airbags, two ISOFIX points in the rear, electronic stability control with brake assist, and a tyre pressure monitor. Optional safety kit includes front and rear parking sensors, a rear-view camera, the Lane Assist system, full LED headlights with automatic high beam, adaptive cruise control with collision warning and autonomous emergency braking, rain sensing wipers, automatic headlights, a tiredness recognition system, and a warning system for the rear seatbelts. There’s only one non-metallic colour, White. The rest are all metallic and you have the choice of Nevada White, Ice Silver, Alor Blue, Apollo Blue, Emocion Red, Monsoon Grey, Technic Grey, and Midnight Black. Basic S models come with 15-inch steel wheels, body colour door mirrors with integrated LED indicators, electric and heated door mirrors, the five-inch touchscreen, electric front windows, air conditioning, and an alarm and immobiliser. SE trim adds 16-inch alloy wheels, front fog lights with cornering function, ambient cabin lighting, front armrest, leather steering wheel and gear shifter, chrome interior trim, cruise control, rear electric windows, the XDS differential, and a hill-hold function. SE Technology models also include full LED headlights, the 6.5-inch screen with satnav, voice control, and DAB radio. SE Dynamic Technology adds to that 17-inch alloy wheels, and dark tinted rear windows. FR models come with 17-inch alloy wheels, LED rear lights, dark tinted windows, twin exhaust pipes, the FR body kit, folding door mirrors, a flat-bottomed steering wheel with perforated leather, aluminium cabin trim, sports seats, dual-zone climate control, Seat Drive Profile (which allows you to choose between Eco, Normal, Sport, and Individual driving modes), sports suspension, and rear parking sensors. FR Technology models get LED headlights, and the upgraded 6.5-inch touchscreen, while FR Titanium adds 18-inch dark-finish alloy wheels, a chunkier body kit, the upgraded 6.5-inch media system, and LED headlights. 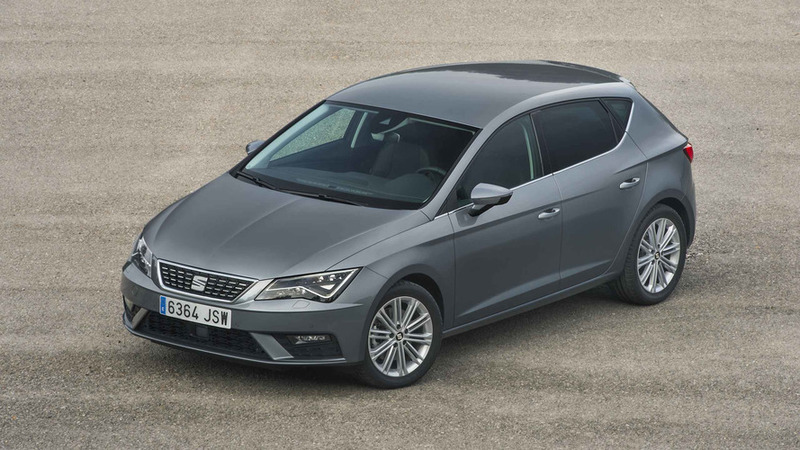 FR trim really is the best Leon spec, as it adds both some very welcome extra equipment and that all-important exterior styling pack, which really enhances the looks of the Leon. Rather unsurprisingly, the Leon is a similar size to a Golf, but it is shorter than the old Leon, in spite of having better cabin space. Avoid the 1.8 TSI petrol (with its 47.1mpg thirst and 138g/km CO2 figure) and it’s hard not to find a frugal Leon. That basic 1.2 TSI petrol is a truly impressive performer, with official economy of 57.6mpg and emissions of 114g/km. You should be able to get pretty close to that figure in daily driving too. The 1.4 TSI performs better in 150hp form than 125hp (thanks to being able to shut down two cylinders under light throttle loads). The 150hp returns 57.6mpg and 114g/km while the 125hp manages 54.3mpg and 120g/km. You can add around 1g/km to each engine when fitted with the optional DSG automatic transmission. The 1.6 110hp diesel is, unsurprisingly, the most frugal model, and in fuel-sipping Ecomotive form returns figures of 78.5mpg and just 94g/km. You will struggle to match that economy in the real world, however, and the 150hp diesel might not be far behind in daily driving, with its 64.2mpg and 110g/km. The 184hp version is a little worse off, although not by much, at 62.8mpg and 118g/km. 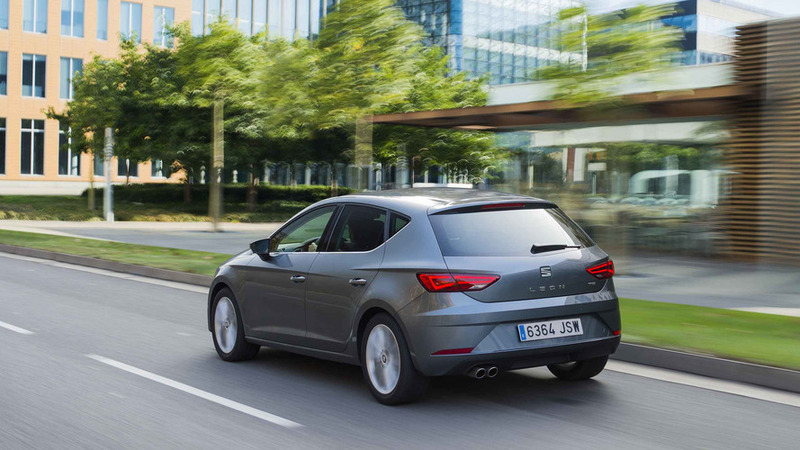 The Leon has had just one recall, for a possible failure of the rear-door child locks. Given that it uses proven Volkswagen-sourced mechanical parts, and that Seat has a generally bulletproof image for reliability, you should be able to expect years of solid service. All Leons come with a three-year, 60,000-mile warranty that can be extended to five years and 90,000 miles at extra cost. 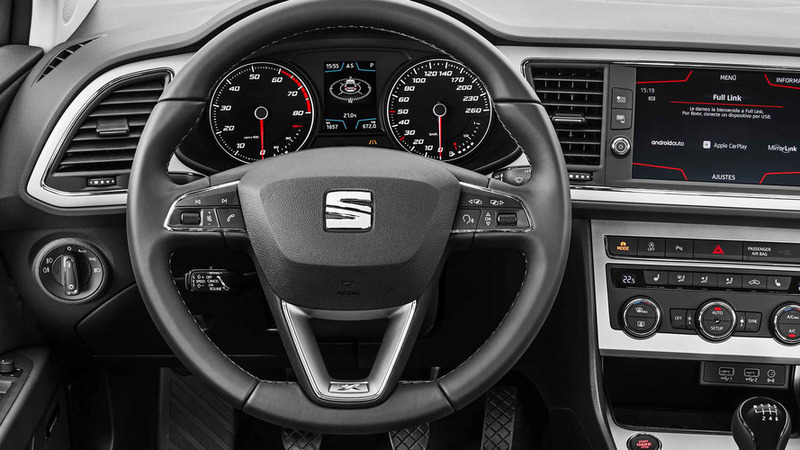 Seat also offers pre-paid service plans and fixed price servicing. 1.2 TSI SE – safe, affordable, roomy and frugal. FR model – lightly sporting, sweet steering, and a good price. A smart-looking car with decent quality, but it’s tight in the back seats. Super-sharp to drive, but cabin is even cheaper-looking than Leon’s. Big on value and big inside, but can’t match the Seat for driver appeal. Most of the Leon’s strengths, but with more cabin and boot space. Pricier than the Leon, model-for-model, but you can’t argue with that badge appeal. 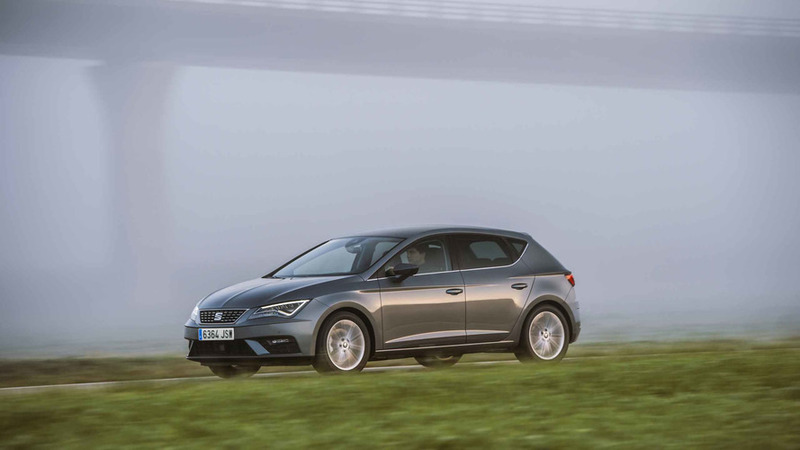 "The Seat Leon is a highly desirable family hatchback, with heaps of style, great handling and low running costs"